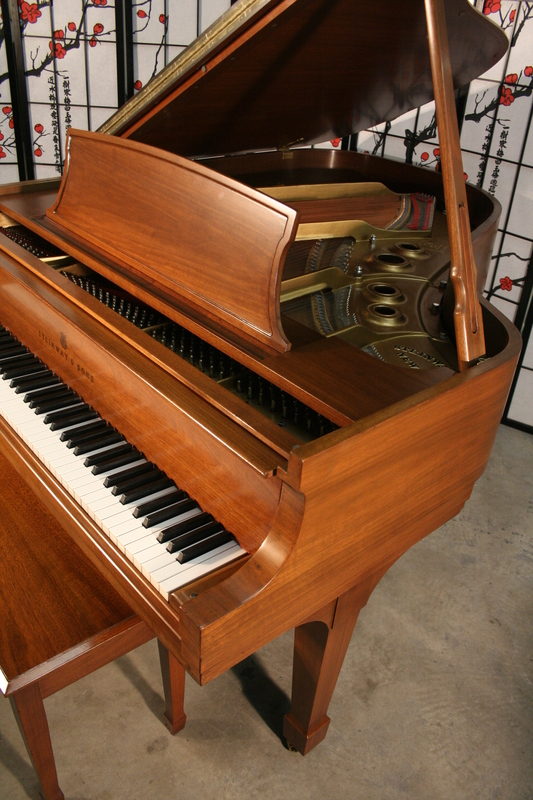 Art Case Knabe Grand (VIDEO) Piano 5’7″ Just Rebuilt/Refinished (VIDEO) Queen Anne Legs $7500. 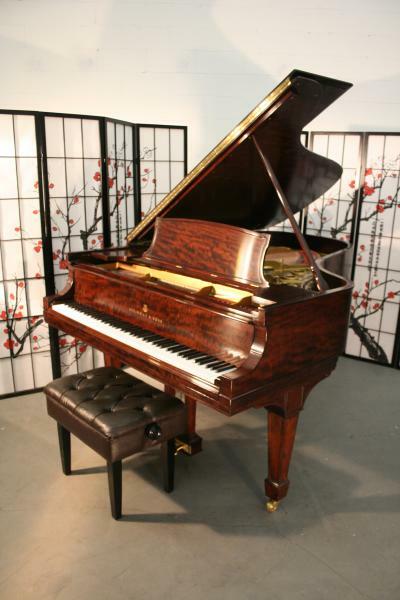 Art Case Knabe Grand Piano 5'7" Just Rebuilt/Refinished Queen Anne Legs $7500. To view Sonny’s VIDEO TOUR click here! 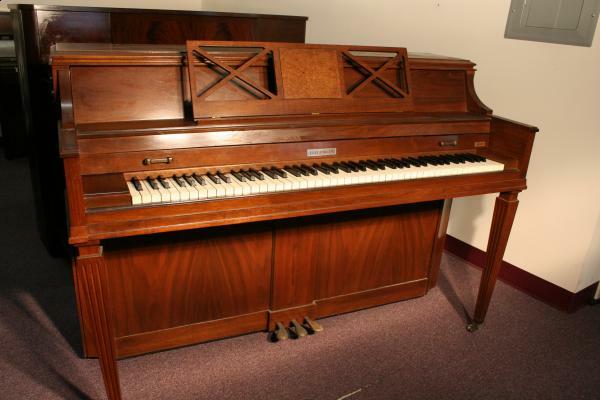 Knabe Baby Grand Piano 5’6″ Walnut 1930 (VIDEO) Rebuilt 20 Years Ago $3950. 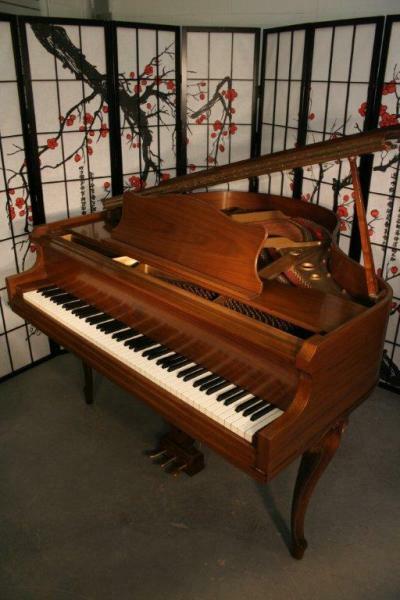 Knabe Baby Grand Piano 5'6" Walnut 1930 Rebuilt 20 Years Ago $3950. Knabe Baby Grand Piano, Walnut, 5’6″, rebuilt 20 years ago, new hammers, strings, pins, pin block, dampers. New key tops just put on, new French Polish Finish just applied. Action just regulated. Ready to go. Very pretty walnut grain. 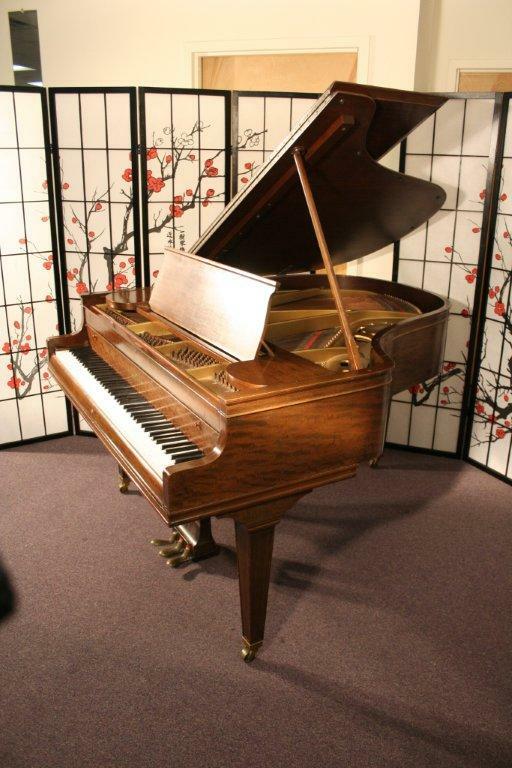 Knabe, one of the great American piano manufacturers started making piano in USA 1840’s. 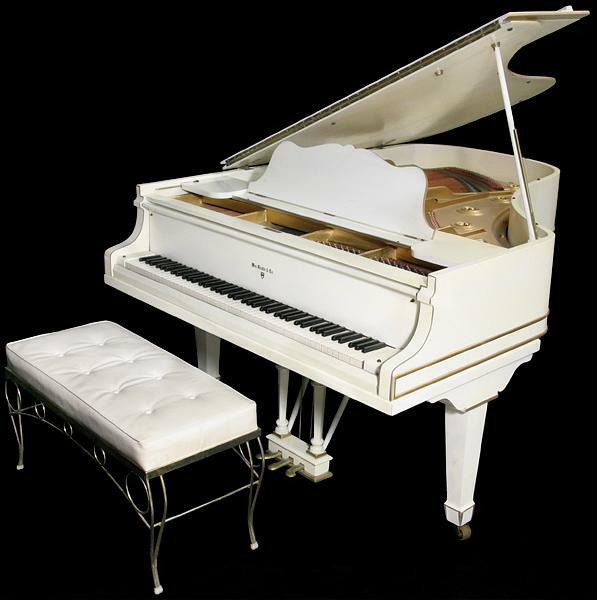 Well known owners of Knabe pianos include Robert E. Lee, Woodrow Wilson, Francis Scott Key, Herbert Hoover and the King Elvis Presley owned a white one. (To See Photos of Elvis and his White Knabe see below). Free Long Island NYC delivery! All else continental USA only $475. Warranty. Questions? Call Sonny 631 475-8046. One of Elvis’ most beloved instruments, he used it in the music room at Graceland for 12 years until Priscilla bought him a gold-leafed piano for their anniversary, and the Knabe piano was put away in storage. The piano has a storied history in the music history long before and after Elvis’ ownership. It was used in Memphis’ Ellis Auditorium from the 1930’s to 1957, during which it was played by such music greats as W.C. Handy, Duke Ellington, Count Basie, Cab Calloway, and others. In 1956 the piano was obtained by Jack Marshall, the pianist for the famous gospel singing Blackwood Brothers, who then put it in his store. 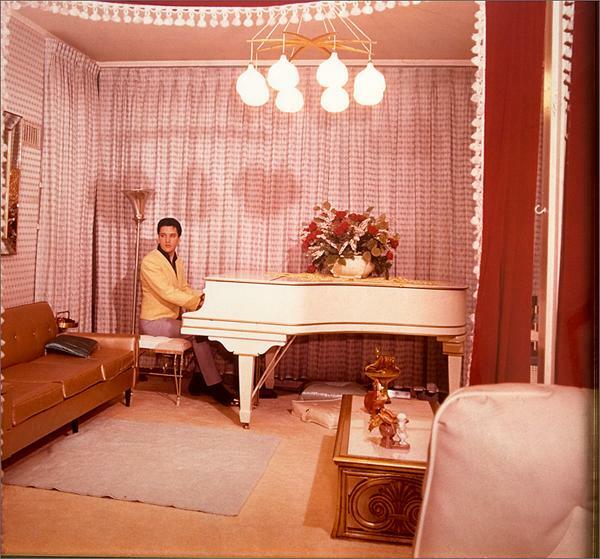 As soon as Elvis heard of the piano he bought it for his home in Graceland. While at Graceland the piano was played constantly by Elvis as well as visiting celebrities. In 1976, Vernon Presley, Elvis’ cousin, took the piano out of storage and sold it to Ted Sturges, owner of the Sturges Recording Studio. The piano was used at the studio for five years during the recording of over 50 albums by various artists including Jerry Lee Lewis. From 1981 to 1990 the piano was owned by Jimmy Velvet who displayed it in his museum. The piano then returned to private hands and has remained so to the present. 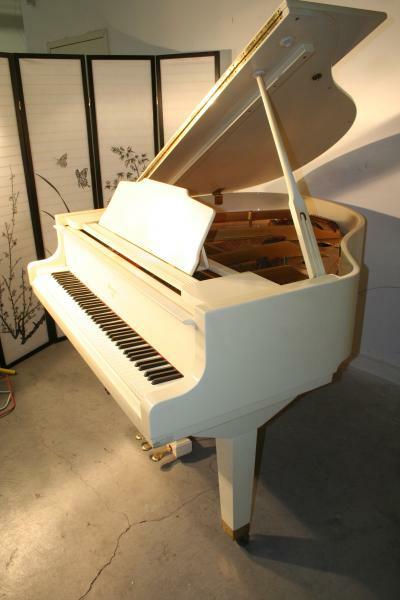 During the period of October, 1996 through February, 1997, the piano received a special refurbishing by Mr. C.B. Coltharp whose family owned piano business has serviced and maintained the pianos at Graceland for almost 40 years. Coltharp, referring to old photographs and records, exactly matched the specifications originally given by Elvis. The piano and bench is accompanied by photographs of Elvis and the piano at Graceland as well as a handwritten and signed letter of provenance from Ted Sturges and affidavits from C.B. Coltharp, Ron Blackwood (a member of the Blackwood family who worked on the original refinishing) and George Klein (Elvis’ lifelong friend who witnessed Elvis and Jerry Lee Lewis playing the piano at Graceland). Steinway Grand Piano Model L 1979 Just Refinished Beautiful Walnut. Beautiful Walnut Steinway Model L 5’10.5″, 1979, just refinished January 2012, sublime tone, action just regulated, one owner, low mileage. All original Steinway parts. Free Long Island and NYC delivery. All else continental USA only $475. Warranty. Questions? Call Sonny Direct at 631 475-8046. 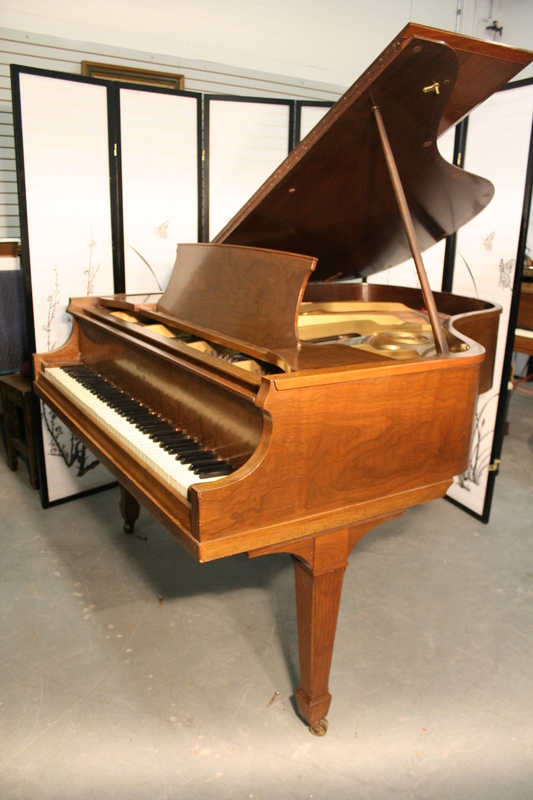 Steinway Grand Piano Model B (VIDEO) African Mahogany Totally Rebuilt 1/2012 $37,500. 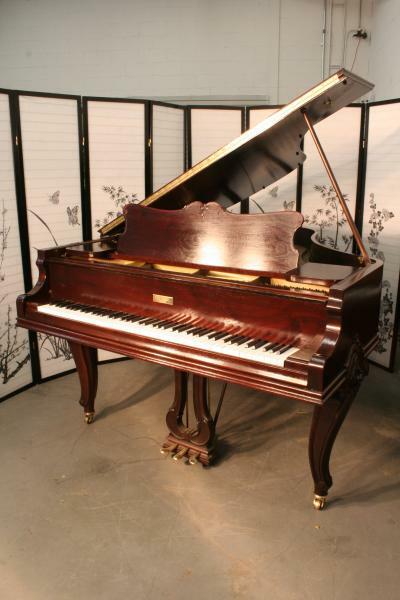 Steinway Grand Piano Model B African Mahogany Totally Rebuilt 1/2012 $37,500. Magnificent Steinway Grand “The Model B” simply the quintessential grand piano. Manufactured during the heyday of Steinway Pianos 1919. Rebuilt January 2012. Just back from the rebuilder and refinisher. Beautiful African Mahogany. Total high end rebuild, including new Bouldoc Sitka Spruce soundboard, Bouldoc pin block, mapes strings, Steinway Hammers, Steinway Shanks, Steinway Action/wippens/repititions. New dampers, new bridge caps. hand rubbed semi-gloss finish. A piano for the ages. A keeper and lifetime piano. Very special. Rich, sublime classic Steinway B tone. Action just regulated and voiced. Questions? Call Sonny Direct 631 475-8046. White Gloss Baby Grand Piano by Weber 4'11"
Baldwin Acrosonic Console Piano Walnut with Bird’s Eye Maple Inlaid $1200. Baldwin Acrosonic Console Piano Walnut with Bird's Eye Maple Inlaid $1350. To view more photos and the VIDEO TOUR COMING SOON click here! Baldwin Acrosonic Console Piano, Walnut with birds eye maple inlaid music desk. 1980, lightly played. Very clean, like new. Our technicians went over it. Local NYC Long Island delivery only. No out of are shipping. Warranty. 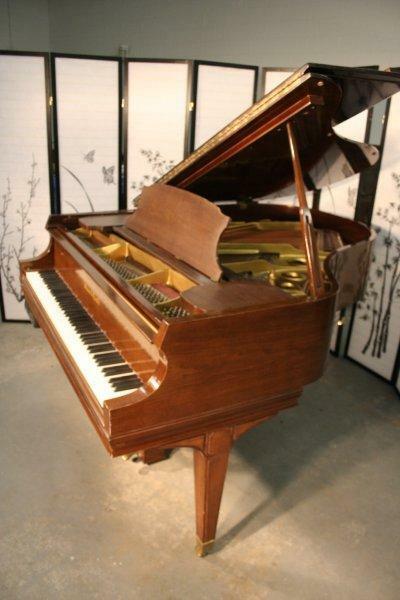 Yamaha Console Piano Walnut $1700. 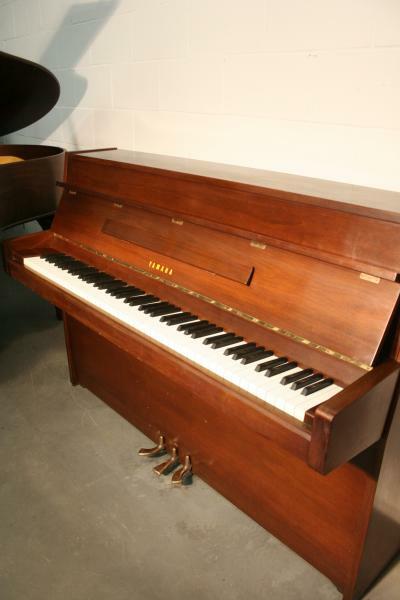 Yamaha Console Piano Walnut $1900. Yamaha Console, pretty walnut, 1970, lightly played, very little wear. Local Long Island/NYC delivery only. Warranty.